Chrome Web Store – Home. It’s been a while since I’ve turned my mind to the GM empire (in fact the last time I saw fit to comment was when the highly questionable GMC Terrain surfaced…). But conversations with the head of social media at GMH (Holden) and a little discovery I made yesterday has got me thinking about the people’s car company all over again. I’ve spent a lot of time over the past few weeks discussing the ability of social media to open up dialogue between automotive designer and customer. The benefits, as I see them, are twofold. Firstly, designers get access to crucial insight from the people they often have the least professional contact with, their customers. Secondly, the designers themselves, as opposed to the cringe-inducing PR lackeys, can help spread the message about their work, breaking down the hitherto impermeable walls of the design studio. Way back in March I wrote a piece discussing BMW’s Project-i. In it (you can read it here), I roused on BMW for taking such a high-minded approach in describing the project. I also suggested that if they wanted to provide new forms of popular (as in “for the people”) urban transport, the wonderful Isetta brand was ripe for the picking, leaving the precious BMW unimpeached. Lo and behold, BMW CEO Norbert Reithofer has just announced that the vehicular outcomes of Project-i will be marketed under a sub-brand called… well, we still don’t know for sure yet. But take a look at the wonderfully feel-good, BMW-produced video above and there’s no prize for guessing what it will be. There’s a risk that I may depart on some vainglorious romp here, but I figure a little self-indulgence is warranted given that DownsideUpDesign has just kicked over the 10,000 visitor mark. While I was out in Broken Hill, I had to good fortune to catch up with Mark Charmer at the Movement Design Bureau and, even more fortuitously, Rob Hunter and Amy Johannigman, whose work I had the pleasure of reading as part of the Sue Cischke project back in May. We ended up having a mind expanding conversation (they come along with pleasing regularity when in Mark’s company), discussing the potential for a highly personal style of social media to help generate really meaningful dialogue around design and sustainability. While I’ll let Mark and Amy fill you in on the details, I’m honoured by the profile they’ve put together and the concept Mark discusses is something that resonates with me on so many levels. It speaks of a bright future for not only this DownsideUpDesigner and the others out there like me, but also a more open, responsive and sustainable future for the automotive industry, which I seem to have been destined to be a part of for a while now. If you’ve got this far, then your the kind of reader I love to have. It’s even better if you leave your thoughts below because without the dialogue we share, DownsideUp is just another tree falling in the woods. Thanks so much for being a part of the first 10,000. I’m looking forward to many, many more. 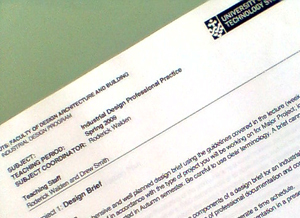 Came across this guide to design brief writing yesterday on the Design Sojourn blog. Given you guys have got a brief due next week, some of the advice here might help you to round things out a bit. Time for some gratuitous (and somewhat NSFW) video content. I’ve been bobbing my head to this mighty fine take on Lady Gaga’s Poker Face for a while now, but I’ve only just come across the beautiful, cinematically slick film clip thanks to NewWork. It’s almost Felliniesque (massive call, I know) in that you could grab most frames and they’d be beautiful images in their own right. Up until now, confusion has reigned supreme regarding Ford’s positioning of the new is-it-premium-or-isn’t-it Taurus and how it relates to the Lincoln/Mercury ranges. Well be confused no longer because the online ad campaign for the new car, going live on August 4, pits the new EcoBoosted sedan against… the Lexus LS460! In a move that’s sure to mightily upset the brand guardians at Lincoln and Mercury (if indeed there are any…), the campaign gives a blow-by-blow account of how the butch sedan bests the behemoth from Japan, along with the Audi A6, Infiniti M45X and Acura RL, while being up to three times cheaper. Indeed! Why bother with less well equipped Mercury or an overpriced Lincoln? Lincoln to hit Weight Watchers. Unsurprisingly, Mercury dragged along for the ride. Automotive News (sub reqd.) 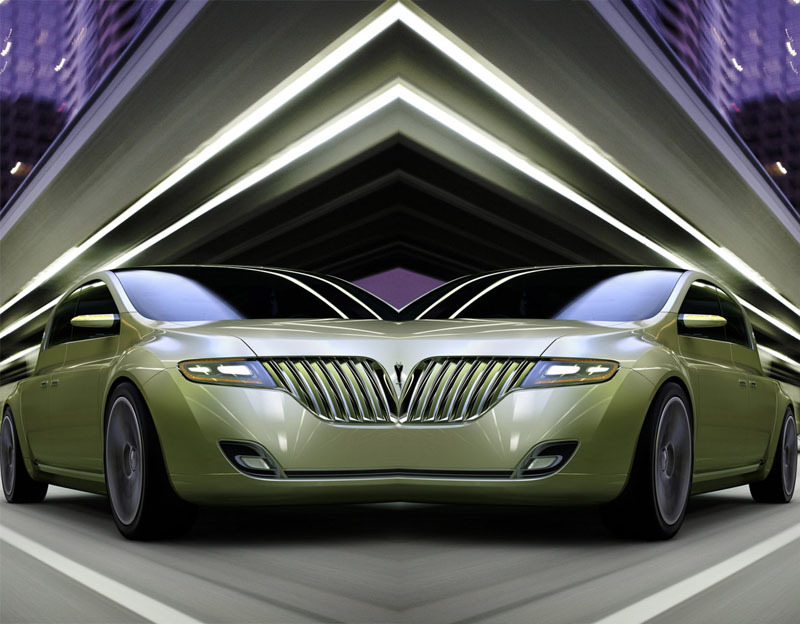 is reporting that Lincoln and Mercury are looking to rationalise their product range by downsizing existing products and exploring new market segments. Although hardly surprising in the context of an industry-wide trend for downsizing, it is interesting that Ford is applying this strategy to it’s steadfastly large-car near-premium and premium brands. Lincoln’s intentions were made clear with the delightfully characterful, Focus-based C Conept at January’s Detroit show and AN reports that the next MKS saloon and a small crossover will be moving to the Mondeo and Kuga platforms respectively. So far, so rational and so on trend even if the C Concept making production is “far from definite” according to Amy Wilson, author of the article. Based on Amy’s intel though, it seems that Mercury will be… doing exactly the same thing! The other Merc will produce a four-door sedan based on the Focus, the Milan will move to the Mondeo platform and the Mariner will share its guts with the Kuga/Lincoln twins. Awesome. For as long as I can remember, Mercury has struggled to find it’s place in the Ford Portfolio. Positioned as an entry-level premium brand to slot between work-a-day Ford and the once-glorious Lincoln, Merc has suffered the worst evils of badge-engineering, mis-directed marketing (the Milan Voga, aimed at Hispanic women being my fave) and being sandwiched between brands that gave it no room to breath. 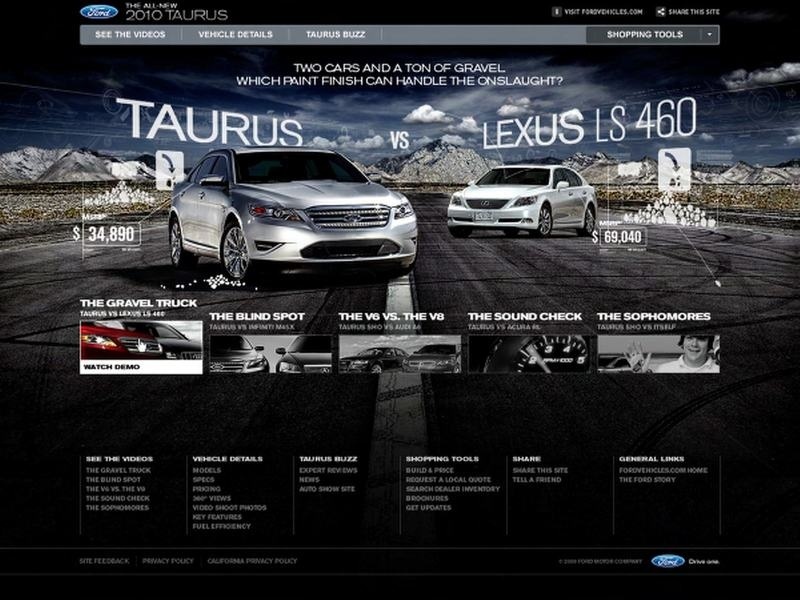 Surely the introduction of the new Ford Taurus, with it’s premium aspirations, will only cloud things further. One could quite easily draw the conclusion that Mercury has no reason to live, given that the plans outlined simply call for still more badge-engineering. Indeed, the number of times that talk of Merc’s demise has emanated from Ford HQ tends to suggest that thoughts of Mercuricide have crossed the minds of Dearborn’s strategists more than once. Yet I can’t help feeling that the brand could still be put to some good. Ford has developed some industry-leading ICE, hybrid and electric technologies and possesses studios of talented designers champing at the bit for a genuine challenge. Could Mercury, as it’s name suggests, become Ford’s messenger from the gods, bringing with it tales of a glorious, sustainable future? Why not allow Mercury to be the harbinger of Ford’s drive-train technologies and sustainability strategies in urban-appropriate packages? This kind of test-bed automotive brand focused on urban vehicles isn’t entirely without precedent. Autobianchi fulfilled the same role for Fiat Group from ’55 to ’95 and presaged many innovations that later found their way into mainstream Fiat and Lancia products. You may scoff, wondering what place anonymous Mercury has becoming an expression of new urban cool, but let’s face it, what have they got to lose? Certainly not brand appeal. In the 2009 J.D. Power APEAL survey, Mercury sat comfortably in the bottom 10, along with Chrysler, Hyundai, Saab and Suzuki. Given all the discussions I’ve had with @joesimpson and @charmermark about Ford’s future direction and encouraging a radical shift towards new models of personal mobility, Mercury’s reinvention as a sustainability-focused brand is scenario that I’d like to explore further. So over to you, dear reader. What do you think? Although Robin Chase may not be a household name outside the transport strategy sector, her work has had a major impact in the development and acceptance of car sharing in the US, Canada and the UK. As the co-founder of Zipcar (a shared vehicle service) and the CEO of the US-based GoLoco (which uses social networking to allow members to maximise the use of their cars), Robin has been at the forefront of changing the way we think about either maximising the use of what we already own, or abandoning ownership all together and sharing a network of cars. Robin was recently interviewed by Eric Steuer (creative director for Creative Commons) over at Good Magazine and it’s great listening for anyone who’s interested in the future of open sourcing and product-as-service. Crucially, Robin outlines not only the manifold financial benefits of her take on future mobility, but also the social benefits. Head to Good Magazine for the full audio interview. 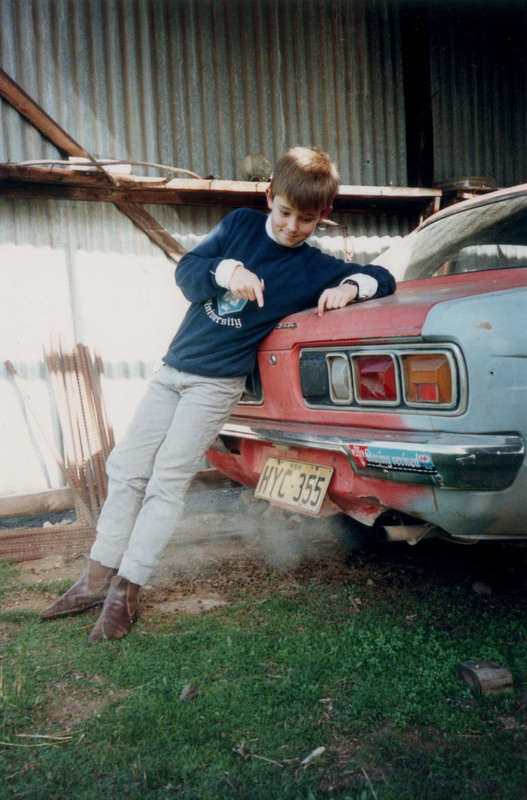 I'm Drew Smith and I'm a freelance design strategist and journalist for the automotive industry. DownsideUpDesign is a place for me to collect stuff that I like, often love and sometimes hate for safe keeping. Get in touch at downsideupdesigner (at) me (dot) com or tweet me (@drewpasmith) to rant, contribute or collaborate! © Andrew Philip Artois Smith and DownsideUpDesign, 2009. Unauthorized use and/or duplication of this material without express and written permission from this blog’s author and/or owner is strictly prohibited. Excerpts and links may be used, provided that full and clear credit is given to Andrew/Drew Smith and DownsideUpDesign with appropriate and specific direction to the original content.